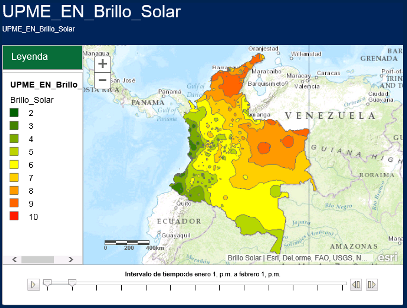 Colombia Archives - Sopelia is the solar platform in Latin America. Sopelia is the solar platform in Latin America. The photovoltaic solar energy in Colombia began with the Rural Telecommunications Program and the National University technical assistance, in the early 80s. In this program, 60 W small photovoltaic generators for rural radio telephones were installed. In 1983 it had installed 2.950 systems. Then, the power was increased to 3-4 kW systems for earth satellite dishes. Many companies began installing systems for telecommunications services and solar systems are currently used in microwave relay, buoys, remote stations and military bases. These systems are now essential for country’s telecommunications. Between 1985 and 1994 48.499 solar modules equivalent to about 2 MW power were imported. Of these, 21.238 modules with 844 kW output were used for telecommunications projects and 20.829 modules with 954 kW output for rural electrification. On a 248 sample of these systems, 56% worked without problems, 36% worked with some problems and 8% were out of service. Problems were found in the lack of a minimum maintenance, supply of replacement parts and undersized systems. Rather than being a technical problem, the problem is service quality and customer service. These shortcomings persist today. In electrification programs, the standard isolated system has consisted in a 50-70 W module, a 60 to 120 Ah battery and a charge controller. These small systems provide power for lighting, radio and TV, covering the basic needs of rural population. The current cost of this system is around U$D 1200-1500, mainly affected by the high costs of installation in remote areas. According to the IPSE (Institute for the Promotion of Energy Solutions) there are currently more than 15.000 systems installed for these applications. Something like what happened with solar termal case happened with solar photovoltaics in Colombia. The market had its boom in the late 80s with the mentioned rural telecommunications program. Then in the 90s public order difficulties slowed their development, whose growth is estimated at 300 kW / year (the current installed capacity would be around 9 MW). Photovoltaic electricity generation has huge prospects, considering that about 1 million families lack electricity service in Colombia rural areas. Colombians achievements are very modest and current development does not match its potential. Valuable time has lost. 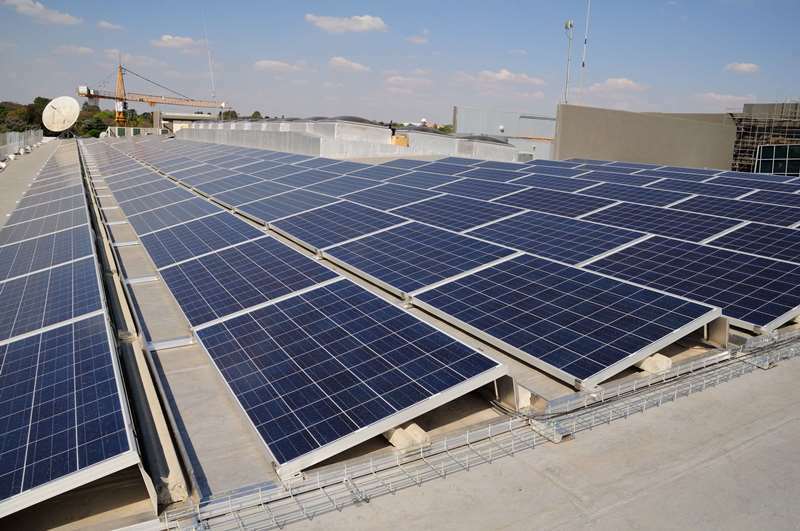 One of the most important facilities is projected in Providence, which consist in the construction, operation and maintenance of 60 MW solar photovoltaic plant and associated facilities. The plant will be located near the international airport in Zacatecoluca, La Paz and is expected to generate 159.000 MW / year to be sold to 7 companies, which distribute electricity to final consumers. The first record about solar thermal energy use in Colombia dates back to the 50s with the installation of solar heaters in the banana workers homes located in Santa Marta. The heaters still exist, but they do not work. In the 60s Israeli solar heaters were installed in some universities in Santander and Bogota. In the 80s in Medellin, Manizales, some neighborhoods of Bogota and later in the Atlantic coast, solar heaters began massively used; forcing regulation of their use through INCOTEC (Colombian Institute of Technical Standards). In March 1993 the NTC 3507 was enacted, referring to domestic hot water systems powered by solar energy installations. In mid 90s, with the support of foundations like Gaviotas, the use of solar heaters spread to hospitals and community centers. Until 1996, 48.901 m2 of solar thermal systems had installed, mainly in neighborhoods of Medellin and Bogota with Central Bank funding. All this development stopped short with the introduction of a cheaper energy source, natural gas, which displaced the market of this nascent industry from then until now. Most systems work well but some users had other expectations of them, which has hinted that the demand exceeds the capacity of the equipments. Currently, the solar industry remains depressed in Colombia waiting for a new energy crisis. The only program that tried timidly incorporating solar thermal energy began in 2009 in San Andrés as part of the implementation of solar energy in buildings, to evaluate their behavior in a residential installation. The national energy policy should move towards a gradual increase of supply based on solar thermal energy, developing strategies and setting ambitious and achievable goals, consistent with a gases emissions reducing policy. The Law URE (Rational Use of Energy) and 3683 Decree, have not been sufficient to promote this energy source, as evidenced results obtained from its promulgation. With 1.715 2014 law, which regulates the renewable energy integration to the national energy system, Colombia aims to encourage the development of energy sources with environmental, social and economic sustainability criteria. The Mines and Energy Ministry, together with the Institute of Planning and Promotion of Energy Solutions for non-interconnected zones (IPSE), seeks to promote these projects especially in not connected rural areas. Moreover, photovoltaic systems were installed in several indigenous communities in La Guajira; Cardon became part of the national grid; a Polygeneration (solar-diesel) Center will be created in Nazareth and the interconnection line between this town and Puerto Estrella (Uribia) will be built. In San Bernardo islands in the Colombian Caribbean there are 3 projects. This are Isla Fuerte, Múcura and Santa Cruz Islet; in which the IPSE implement photovoltaic-diesel hybrid systems. The Ministry intends to complement these facilities with productive projects that generate revenue to users, considering that this is a new service that should start paying and in many cases they do not have the economic resources to do so. Between March 2 and June 30, 2015 a financing plan allocating $ 100 billion pesos for renewable energy projects, renovation and expansion of public lighting, interior or exterior lighting, cogeneration and self-generation was open. The Mines Ministry, UPME, FIDENTER, IDB announced this special line to fund projects and investments on favorable terms. Colombia has great potential in primary energy, a proof of this is that over 70% of electricity production comes from hydropower. But surely the geographical position of the country to use solar energy is privileged. It is located in the equatorial zone, which allows for constant solar radiation in certain areas of the country (Magdalena, San Andres, Providencia and La Guajira Peninsula), one of the key elements to become solar power generator. The country biggest problem is the complex Andes region where climate often changes. The country average radiation is 4.5 kWh / m2. The best solar resource area is La Guajira peninsula, with 6 kWh / m2 of radiation. Given this and contrasting it with solar energy development has had so far, we can conclude that Colombia is not using its solar potential. From the installed capacity corresponding to isolated systems, 57% is intended for rural applications and 43% to communication towers and signaling traffic. The development of large-scale facilities is limited or almost nil.